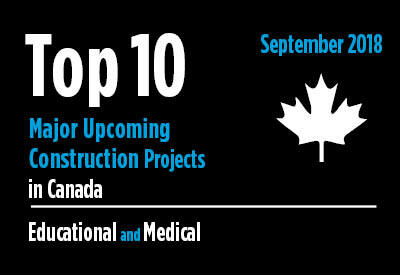 The accompanying table shows 20 of the largest upcoming educational and medical construction projects in Canada. They are all in the planning stage and are mainly new projects, but may also involve additions and/or alterations. All of the above projects share the same common factors. They are all in the planning stage. They are mainly new projects but may also involve additions and/or alterations. Shopping centers, hotels, office buildings, medical buildings, educational buildings, government buildings, industrial projects, oil and gas projects, and electric power and telecommunications projects will all be covered on a rotating basis.